1) 220 , 190 , 160 , 120 , 90 , 73 , 45 and 25 micron, Varied microns of bags allow filtering herbal resins into different grades to meet your need. 2) Included is a 25 microns pressing screen and a black carrying bag for easy storage of garden bubble bags. 3) There is 1 gallon and 5 gallon, larger bag assortment allows for more exact filtering into different grades. 4) EASY TO USE by beginning with the 25 Micron bag and progressing to the 220 Micron bag. Use this efficient kit to extract herbal resins for cooking, perfumes, shampoos, soaps, beverages and aromatherapy. 5) We can print your logo in the bubble bags to develop your brand. 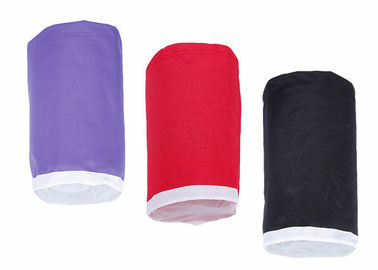 6) Special design for bubble ice bag is accept.